Midlands Lubricants supplying Tractor Types Ranges and Oils. Midlands Lubricants supply quality Tractor Transmission Fluid, Tractor Engine Oil, Tractor Hydraulic Oil as well as various other lubricants and Grease. The increase in population in different parts of this world has lead to the need for efficient Farming machines. We have the very best quality oil and lubricants to aid in keeping machines lubricated, efficient and at optimum production. Midlands Lubricants supply Track Tractor Oils – Tracked Tractors, instead of wheels one track is fitted on either side. This track gets drive from the sprocket run by real axle shaft. To steer the Tractor, there is no steering gear fitted. Tracked Tractor machine is steered by applying brakes to one side of the track while the other track is in motion. Midlands Lubricants supply Half Track Tractor Oils – Half Tracked Tractors have a small track chain is fitted at the rear end only while tyres are fitted at the front axle. Track Type Tractors are generally used for reclaiming barren lands and are not much used for Agricultural and farming tasks. These these tractors are very useful in areas where earth moving tasks are required. 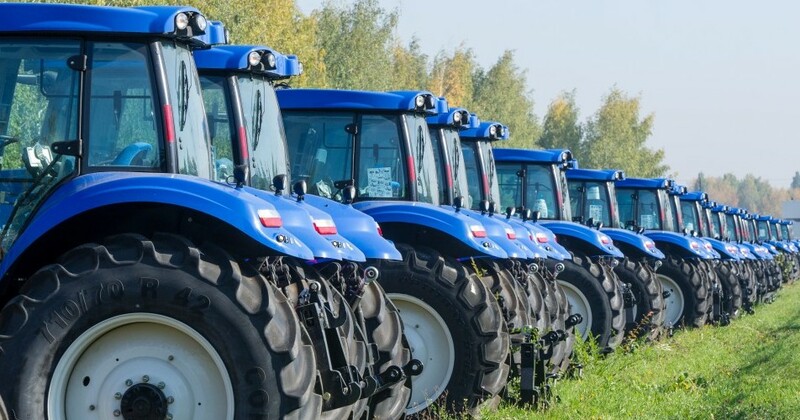 Utility Tractor Oil – Utility Tractor is general purpose machine and is designed for ploughing and driving any other equipment through its drive and is considered good for such farms where farmer cannot afford more machines to perform specific jobs. Row Crop Tractor Oil – Crop Tractor is an all round machine and is designed in such a way that it meets all the Agricultural demands like Ploughing, Harrowing, Levelling, Pulling Seed Drills, Weed Control, running different machines like Water Pumps, Threshers using belt pulley. We have an excellent range of Slideway Oils suitable for these machines. Orchard Tractor Oil – Orchard Tractor is a special type Farm machines are only used in Orchards. These Tractors have big height so that while sitting on the Tractor the Driver can easily pluck the fruits or the trees can easily be trimmed. There is no part of this machine outside the surface and this allows easy passage in between the trees. Industrial Tractor Oil – Industrial Tractor the Industrial Type machines are also called as Tuggers or Tug Tractor. They are useful in pulling loads and are fitted with crane boom for easy lifting of loads. Gardening Tractor Oil – Gardening Tractor these machines fall in the power range of 1 to 10 Horse Power and are usually of small construction size. They are mostly used for Horticulture, Grass Cutting or for making Flower Beds in the garden. The wheels fitted to these machines are having similar size of a Scooter tyre and have a thicker depth. Rotary Tractor Oil – Rotary Tractor these tend to fall under the category of Walking Tractors or Walk Along Tractor and are used in small fields, gardens or on hills where fields are smaller in size and are at different height levels. Ordinary equipment cannot work very efficiently and the blades are fitted to the tillers for the purpose of preparing seed beds efficiently by pulverising the content of soil. Implement Carrier Tractor Oil – Carrier Tractor these usually have an extended chassis frame between the front and rear tyres where all the implements like Seed Drills, Fertiliser, Drill, Duster, Sprayer, Rotary Sweeper, Loader, and platforms can be easily mounted and carried. Earth Moving Tractors Oil – Earth Moving Tractor these Farm Tractor Machines are heavy Duty, they are also Heavier in weight and quite strong. They are usually available in both track and wheeled type varieties. Their primary usage is for doing earth moving work on Excavation, Quarries and different types of Constructional works.